Max Page, who was born with a heart defect called Tetralogy of Fallot, is expected to remain hospitalized until next week. LOS ANGELES (Reuters) -- Doctors performed successful open-heart surgery on the 7-year-old boy who starred as a mini-Darth Vader in Volkswagen's popular Super Bowl commercial, according to the Los Angeles hospital where he was treated. Max Page, who was born with a heart defect called Tetralogy of Fallot, is expected to remain hospitalized until next week and be in recovery for another six to eight weeks, said Lorenzo Benet, a spokesman for Children's Hospital Los Angeles said on Thursday. "The surgery today went well," Dr. Vaughn Starnes, who did the procedure and is co-director of the heart institute at the hospital, said in a statement. "We had to replace his pulmonary valve and we did it without incident," Starnes said. The surgery took two hours and there were no complications, he said. Doctors said the valve replacement surgery had long been anticipated. Before the procedure, efforts were made to preserve Max's pulmonary valve but it deteriorated over time. 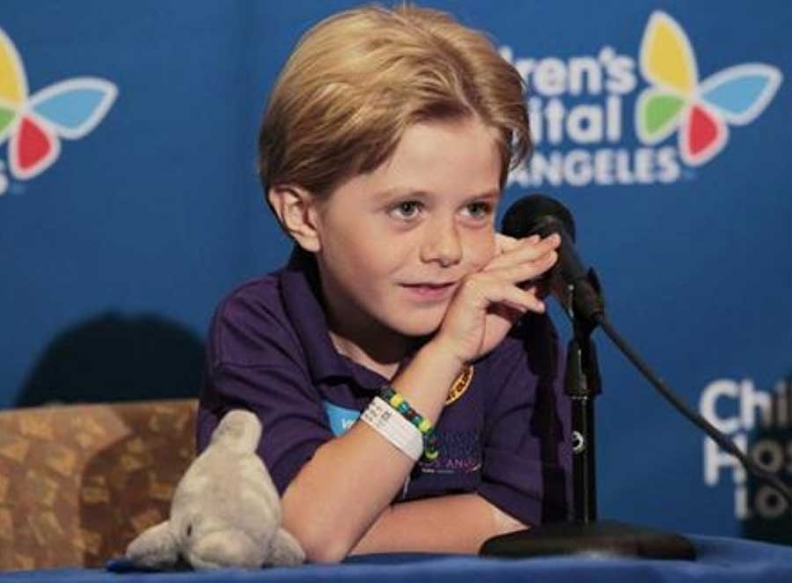 Max, a young actor who has appeared in soap opera "The Young and the Restless" and NBC crime show "Prime Suspect," has been treated at Children's Hospital Los Angeles since he was an infant. He serves as a junior ambassador for the facility. On Wednesday, Max spoke to reporters and said he realized he had to undergo the surgery and so he decided to have a "good attitude" about it. In Volkswagen's 2011 Super Bowl advertisement that gained a mass following on social media, Max wears a Darth Vader outfit and resembles a pint-sized version of the famous villain from the "Star Wars" movies. He tries in vain to use "The Force" to start a household dryer and rouse a pet dog. Finally, to his surprise, he is able to start the family's Volkswagen Passat -- unaware that his father actually did it by remote control. In general, children with Tetralogy of Fallot can enjoy a largely normal life after surgery, said Dr. Ralph Mosca, professor in the department of cardiothoracic surgery and pediatrics at NYU Langone Medical Center.